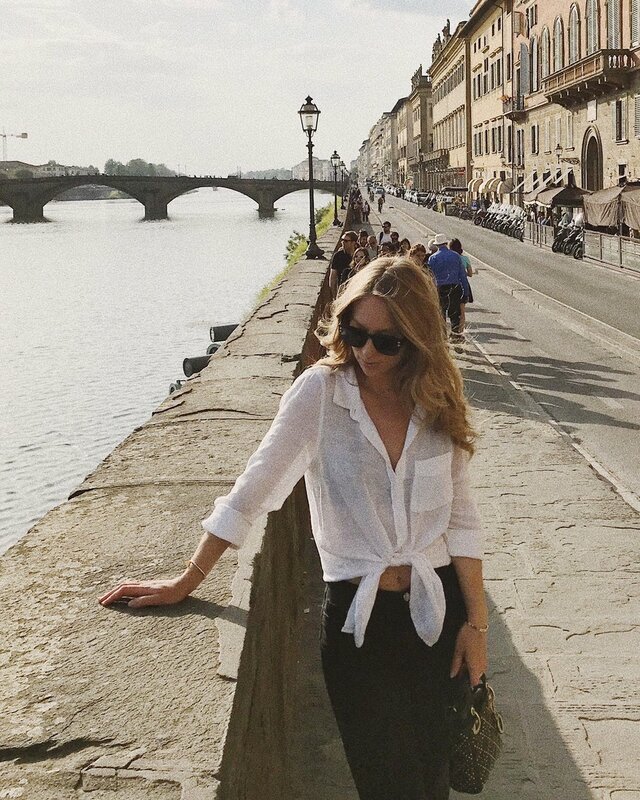 During a couple of days in April and May I travelled around Tuscany so I thought it would be nice to share a few places I came across during my time there with you all in case anyone thought about making a similar trip (which I would highly recommend). As always, places change with time so please double check that the following tips are still relevant before going. 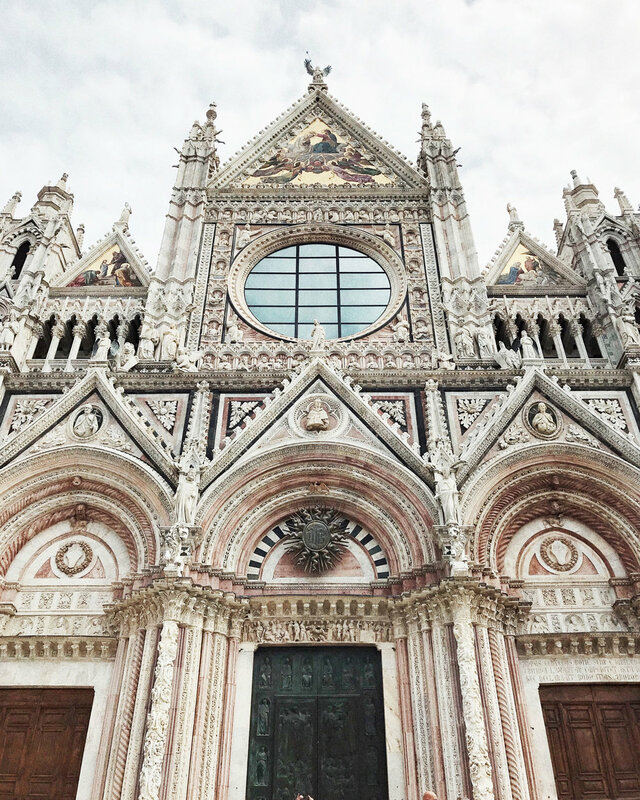 There are a million little places all around Tuscany worth visiting and I'm far away from knowing everything but here are a few of the gems I found. This very well known osteria serves a traditional Pasta Bolognese, which I think is a must try while in Bologna. Via Mentana, 1, 40126 Bologna. Come here for charcuterie, cheese more charcuterie and more cheese over a couple of glasses of wine or spritz. It gets packed in the evening (actually the whole street does) but hopefully you'll have the chance to grab a table. If you're lucky, I recommend staying all night long, eating and drinking. And eating and drinking. Via Pescherie vecchie 3/e - Bologna. On our way from Bologna to the Chianti area in Tuscany, we made a stop in this little village, located about 30 min outside of Florence. You stay in a beautiful villa, right in the middle of hundreds and hundreds of olive trees. The villa we stayed in had 5 suites (named La Corte), available to rent all together or one by one. Every suite in the villa shares a beautiful kitchen, a living room area as well as a gorgeous little terrace and pool. The other Villas, named La Torre looks equally beautiful and perhaps a bit more private since each villa has 1-3 suites in each villa. Via Lilliano e Meoli, 82, 50012 Grassina. We found this adorable little place last minute (like everything else basically) and couldn't have been happier with our pick. Owned by the sweetest couple (along with their equally adorable dog) this little place was everything we were looking for in Tuscany and more; simple yet charming, beautiful and with a great location (and view). We rented one of the biggest apartments in the house with two bedrooms, a big living room and a cute little kitchen. I loved to be able to eat in the garden, have your own little BBQ and organise breakfast on our own. Località La Ripa - Ulignano, 53037 San Gimignano. From our little villa in the Tuscan countryside we did little day trips to Siena, San Gimignano and Volterra. These little towns are as cute as can be yet different enough for all of them to be worth a visit each. This little family owned B&B is too cute for words. If you want to visit Pistoia (which I think you should) I would highly recommend staying here – especially during warmer days. The rooms are simple but have everything you need. The garden of the property (including a pool) is perfect for summer picnics and reading in the grass. The breakfast is delicious and you truly feel taken care of by Linda who runs this little gem. The B&B is located outside the town-centre so (as almost all other properties) I would recommend coming her with your own car. Via Di Pieve a Celle Nuova 61, 51100 Pistoia. For our first lunch in Pistoia we visited Bottegaia and I think we could have had every single meal here if we would have been lazier. Adorable place, delicious food, great wines and lovely atmosphere. Via del Lastrone, 17, 51100 Pistoia. My dad always told me: the worse the lighting of the restaurant, the better the food is. This might be true for Trattoria dell'Abbondanza. I can't say that the setting is magical but the food was delicious. Via Abbondanza, 51100 Pistoia. Via Roma, 1, 51100 Pistoia. A true little Italian trattoria serving delicious plates of food. I already want to go back. The affogato with vanilla ice cream is to die for and bring me back to the summers I spent in Italy as a kid. Piazza del Carmine, 7, 55100 Lucca. Lovely food, lovely people and the cutest little interior. Via Cesare Battisti, 28, 55100 Lucca. Serving classic dishes to both Italians on their lunch break as well as tourists who managed to find their way here. It's a big place so you'll probably find a table without trouble. If their almond cake is listed as a daily dessert I can highly recommend it! Via dell' Anfiteatro, 5, 55100 Lucca. I love a good Italian café for breakfast. Perfect mini sized sandwiches, croissants and pastries. Yum! Piazza S. Frediano, 4, 55100 Lucca. I loved my stay here – another find online very last minute but which turned out to be a keeper. Beautiful, spacious, modern apartments with a gorgeous kitchen, bedrooms and a little balcony. I personally prefer to stay on the other side of the river (where my favourite restaurants and a little bit less tourists are) but the standard of the place made up for the walk every day (don't get me wrong, you can't get more central than this! It's just a personal preference). Via Ricasoli, 34, 50122 Firenze. You come here for meat and more meat. Nothing extraordinary but the busy atmosphere and simple menu could make for a great location for dinner or lunch with a group of friends. Via Rosina, 2r, 50123 Firenze. This is not your typical pizza but it's darn good anyway. I usually get the "regina" with fresh mozzarella. Take the pizza to go and eat it on the little piazza or wherever you think looks charming. Via dello Sprone, 13/R, 50125 Firenze. Pizza, pizza and more pizza. Order, get your number, get seated and make sure to keep an ear out for your number being called. Via Maggio, 46/r, 50125 Firenze. This is one of my favourite restaurants in Florence. Why? It's a simple menu, lovely staff and a beautiful decor. A classic I'm happy to come back to over and over again. Via di Santo Spirito, 36 R, Firenze. Come for lunch on Saturday and you'll find yourself among Italians meeting friends and family over a loong weekend lunch. I don't think it can get more authentic than this. Their "bettola" pasta is a personal favourite. Viale Vasco Pratolini, 3/5/7, 50124 Firenze. My favourite gelateria in Florence. Their stracciatella is delicious and so is their hazelnut flavour. Don't miss the "pan di stelle" flavour either (favourite childhood cookies). But I'm pretty sure all flavours do the trick. Piazza Nazario Sauro, 25/r, 50124 Firenze. Of course I had to stop when I saw this name. Nocciola (= hazelnut) is my favourite ice cream flavour and this place didn't disappoint. Via Ricasoli, 16, 50122 Firenze.